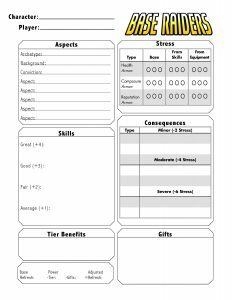 Chris Reed recently wrote up a set of rules to run Base Raiders using Fate Accelerated Edition. This is an early draft but I think it holds promise, especially for players still stumbling over the complexity of power creation rules. Check them out and let me know what you think! 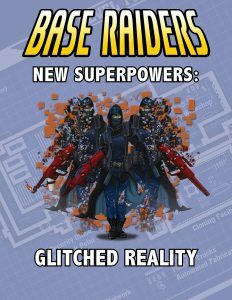 New Superpowers: Glitched Reality now available! “Did you ever want to save and reload your game but in real life? 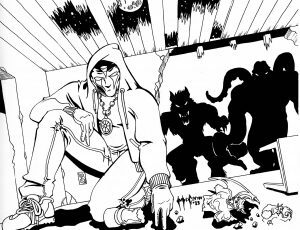 Here’s how.” A black market dealer to a potential customer in the Underground. Buy Glitched Reality at the Base Raider Store. Buy it at DrivethruRPG. Savescum: Die and reload yourself back into reality. True immortality, but at what cost? Co-op: Summon alternate versions of yourself to fight enemies. Too bad some of your clones might want to kill you. Aimbot: Perfect accuracy with an alien energy weapon, only at the cost of a few fingers. Speedrunning: Solve any problem with inhuman speed, demolishing anything that gets in your path, including friends and allies. Crate: A pre-generated base raider who has found a thousand uses for the common crate. New Adversaries: Full stat writeups for reality glitching adversaries, perfect for any Base Raiders game.